Home care service is an established and increasingly popular alternative to an assisted living facility or nursing home. The key benefit for many seniors who opt to hire professional home care is that they can stay where they feel most comfortable — at home. But how do the majority of people finance home care services? You may be eligible for benefits that help pay for these services, from long-term insurance to Veterans benefits. Most health and medical plans do not cover long-term care; however, there is a specific kind of insurance called long-term care insurance, which will cover a person for their future care requirements. As with most insurance policies, the cost of the policy and the benefit it pays out will depend on your age,health and the policy start date. If you already require care, it is unlikely you would be eligible for long-term care insurance. But, if you are planning in advance for aging, as we recommend all of us should, there are tremendous benefits in long-term care insurance. Generally, long-term care insurance will cover a comprehensive variety of care options, such as in-home care, senior care and a nursing home. It can also cover medical care, specialist care and personal care. You can purchase long-term care insurance through an insurance agent or broker. Some states may offer “Partnership Programs,” which sell long-term care insurance partnered with Medicaid through their Department of Insurance. Your employer may also offer long-term care insurance as a voluntary benefit. The Department of Veterans Affairs runs programs that may provide financial assistance for home care. Services help chronically ill or disabled veterans of any age remain in their homes. Palliative care and respite care are among the services that may be available. See more information from Veterans Affairs here. The department also runs programs called Aid &Attendance and Housebound that provide additional financial assistance for beneficiaries who are homebound or need assistance. To qualify, the veteran or surviving spouse must be eligible for a Veterans Affair pension and require the aid and assistance of another person (or be housebound). The veteran must have served at least 90 days, with at least one day during wartime. The veteran or spouse must have less than $80,000 in assets (excluding the home and vehicle). To apply for Veterans Affairs health benefits, call 1-877-222-VETS (8387) or click here to visit the website. Medicare is a federal program that provides medical benefits to people over the age of 65or people under the age of 65 who have certain disabilities. Medicare focuses on necessary medical care and short-term care for conditions that will improve, which means that in most cases, Medicare will not pay towards long-term care, such as help bathing, dressing, eating, moving around or using the bathroom. There are certain instances in which Medicare may contribute. 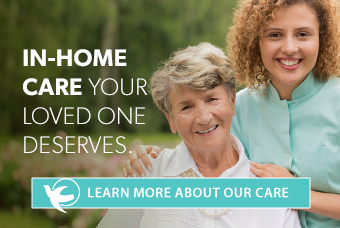 Eligible home care services include physical and occupational therapy, as well as skilled nursing treatments. Medicare will also cover hospice and respite care for patients who have a terminal illness and whom doctors believe have less than six months to live. In this instance, as well as with home care, Medicare may also cover respite care for caregivers used for short-term hospital stays and in-home respite care. For Medicare questions, your State Health InsuranceassistanceProgram (SHIP) is a helpful resource. They can be found here. Medicaid is a joint federal and state medical benefits program that mainly covers low-income people. Unlike Medicare, Medicaid programs do cover long-term home care services, like help bathing or getting dressed, for those who meet certain criteria. In fact, Medicaid is the largest public funder of long-term care services. Although there are overall federal rules for who qualifies for Medicaid, some states exceed these requirements, so eligibility varies by state. To qualify for Medicaid, you must meet certain conditions determined by level of income and the assets you own.If you are eligible for Medicaid, the state will make an additional determination on whether you qualify for long-term care services. Please note: Medicaid eligibility requires that the person in need of care is over 65 years of age, or under 65 with a permanent disability. They must also be a U.S. citizen residing in the state in which they are applying.In most states, seniors who receive Supplemental Security Income(SSI) benefits, or those under the poverty line, will be automatically eligible. More information on financial eligibility can be found here. Along with income requirements for eligibility, a person must hold fewer assets than the threshold in his or her state. These assets include things like checking & savings accounts and/or bonds, but exempt your primary residence (provided equity in that home is less than a certain level). More information on asset requirements can be found here. Once eligibility is confirmed, a medical specialist (usually a nurse) will perform an assessment to evaluate the senior’s needs and decide which services, if any, are needed. Since Medicaid is operated by the states, you must apply locally within your own state. Your State Medical Assistance Office should be able to provide information on Medicaid Eligibility Offices locally. Applying to Medicaid takes around 45 days on average. An online guide to applying is available here. You may be able to use money in your FSA on your elderly loved one’s care under certain conditions. Your loved one must qualify as your dependent. The standard is high, and your loved one must be unable to physically and mentally care for themselves. Plan to save any receipts and supporting documentation related to those expenses and claims. The IRS may request itemized receipts to verify your eligibility. Consult your financial advisor, tax advisor or a Visiting Angels director for more details specific to your situation. Depending on where the senior lives, there may be other local benefits available. Local aging and disability resource centers have a wealth of information on what may be available in your area. Find the nearest location near you by clicking here. Some families pay for long-term care privately from income or savings or by sharing expenses. The Department of Health and Human Services provides detailed information for private payment of long-term care, including reverse mortgages, annuities and trusts. See there to learn more about paying privately, click here. Regardless of the route you chose, the reality is you have options. Visiting Angels offers in-home consultations and will help you walk through the through cost and possible financial resources. Complete our care inquiry form and we’ll call you within one hour, or call us now: (800) 365-4189.